Hanoi (VNA) – Hanoi’s officials have proposed eight key measures to boost the city’s tourism development in the 2016-2020 period, including promoting high quality tourism products in line with building the city’s tourism trademark. At a conference to review the one-year implementation of the municipal Party’s Committee’s Resolution 06-NQ/TU on tourism development in the 2016-2020 period, the participants pointed to the necessity to attract more investment to developing the infrastructure system for tourism and services, while focusing more on human resources training. At the same time, the city should design policies to support tourism growth, strengthen the efficiency of State management over tourism as well as connectivity in the field, and promote the role of tourism associations and other trade associations in developing tourism, they said. After one year implementing the resolution, Hanoi welcomed 21.83 million visitors in 2016, a rise of 11 percent from 2015, which is higher than the average 8-10 percent growth for the 2016-2020 period set in the resolution. Visitors staying in the city increased 23 percent year on year to reach 2.9 million people. In the first seven months of 2017, the city served 14 million visitors, up 9 percent over the same period last year. 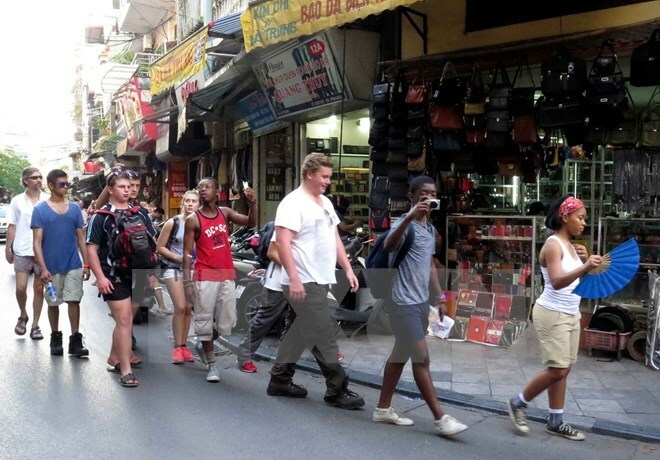 However, Secretary of the Hanoi Party Committee Hoang Trung Hai held that the city has suffered a lack of tourism products and cultural spaces. Participants at the event also proposed the faster formation of a master plan for the West Lake entertainment area, and the development of Ba Vi-Suoi Hai area to national tourism site to 2025.